We offer food options from soup and a sandwich through to a full meals service. All we ask is that you give us some notice so that we can everything arranged for your arrival. If that doesn’t suit you then get ready to refuel after a successful round with delicious local grub from nearby restaurants and cafes. Our friendly staff will always be happy to give you recommendations too. As one of the oldest inns in Ayrshire, The Champion Shell Inn must be doing something right to still be in business 250 years after they first opened their doors; perhaps it has something to do with the homemade steak pies they serve up! A light bites menu is also available if you are looking for a quick snack. Open for breakfast, lunch and dinner you will be able to find something for every appetite at Duncans. An extensive cocktail menu and wine cellar will help you unwind after a successful days golfing. Don’t forget to check their offers page to nab a great deal on your meal. For an Italian inspired meal make a stop at Cecchinis. Discuss your day and relive your best shots over a sharing platter or 28 day aged steak. Looking for more of a quick lunch? Take a look at their lunch menu where items start from only £6. Morrisons– Stock up on supplies for the journey home or grab a quick snack to keep your energy up while you take on the Ardeer course. There is also a Morrisons Cafe if you want to sit down for a coffee or bite to eat. Highly rated maritime museum in Irvine. It has a fantastic collections of historic vessels and is a great way of finding out more about the rich maritime history this part of the world has. Walking through the mill is like taking a step back in time. We recommend visiting to see the fully restored watermill and the granaries that look just like they used to so many years ago. Looking for a little fun out in the water? Geronimo Sailing have a few locations dotted along the coast and offer half day sailing trips. If you’re planning a party or big day out with a large group, it’s well worth combining a trip on the links with a spot of sailing (they even do a trip to a distillery). If it’s a family day out, Artastic is a great little spot. The arts and crafts centre is open Wednesdays to Sundays and offers artistic workshops for kids to get creative. 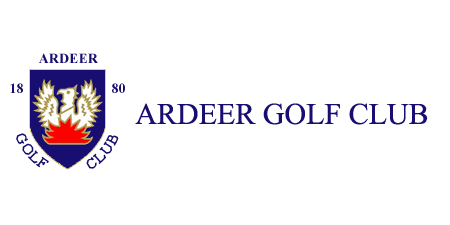 Make Ardeer you first stop on a golfing tour of the West coast of Scotland by playing through nearby clubs to take in all that the Ayrshire Links have to offer. For a quick round stop off at Auchenharvie’s 9 hole course. There are also 18 practice bays to firm up your technique. A robust series of classes and training opportunities makes this course ideal if you are taking a new player on their first golf tour. Established in 1887 this James Braid designed course is expected to be played in 4 hours. These 18 holes provide stunning views of Arran and the Ayrshire coast. A bar and dining in the traditional clubhouse offers a welcome spot to relax after a round. Portland Course to find out for yourself just why this challenging course has hosted the Open championship 9 times.